06.22.06 Games from the 2006 Downeast Open are now available! There are many interesting battles in both the Open and U1600 sections including a bona fide miniature between the tournament's only two masters and a sixty-eight mover that clinched the U1600 prize. 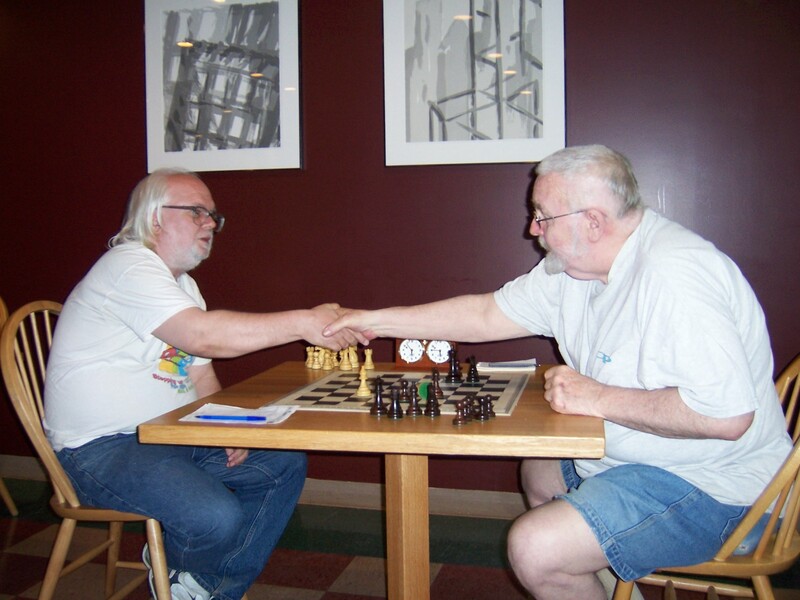 To replay these games, using our interactive game viewer with annotations provided by Fritz 9, click the following link or click on the Games link from any ChessMaine.net page. David Rice (right) resigns to Frank DiRenzo in the last round of the Downeast Open. This game gave DiRenzo clear first in the U1600 section with 3.5 out of 4. Click Here for Games from the 2006 Downeast Open.